Individual lash extensions - Catered to your preference. They can be as long as you'd like, as dramatic or as natural looking as you'd like. 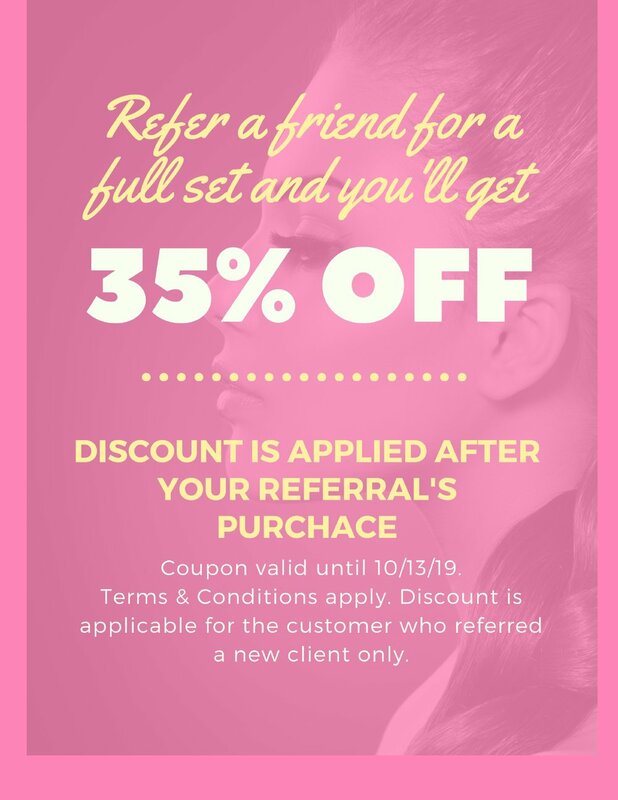 This cost includes an initial consultation, 2 hours of lash extensions (a full set), along with an eyelash brush to take home and aftercare instructions. * A full set does NOT include lower lashes. If your eyelashes cycle quickly or you'd just rather stay on top of them to make sure they are always perfect, this is a good option for you. It is a 40 minute fill in, 2 week appointment. This also comes with a complementary eyelash brush. This is how often I go in for fills. I think it is a well rounded number that makes my life manageable and keeps my lashes full. It is an hour appointment for a fill in every 3 weeks. This also comes with a complementary eyelash brush. We do remove eyelash extensions. Novalash has a removal solution that has no alcohol and no acetone, so its safe for your eyes. Removal should not damage your eyelashes. If you have our lashes and have any trouble with them, we will remove them for free. If you have another studio's lashes, we will remove them for a charge. Our typical rate for removal is $40. Call or chat with us for more information. Please read: Bottom lashes are great, but they're unique in application requires open eyes. Since your eyes must be open during the application, Novalash's sensitive adhesive must be used. Unfortunately, being more mild, sensitive adhesive has a more limited wear time. We think that bottom lashes applied with sensitive adhesive usually last from 3 days - a week on average. As such, they're perfect for special occasions, but upkeep would prove to be more challenging.